The Bureau: XCOM Declassified is set to launch tomorrow, and with a fresh new take on tactical shooters. The game follows agent William Carter in the year 1962, which was around the height of the Cold War. More importantly this game marks the creation of the XCOM. From the videos I’ve seen, The Bureau has an advanced tactical system set-up for combat. When players access the tactics screen time slows down but action doesn’t stop so the tension never ceases to exist during shoot-outs. The level of planning that can be made within seconds before combat is great, and only limited by team size and their classes. During my time researching the game I found that the agent classes are fairly typical and include engineers, commandos, support, and recon (for more detail about these classes watch this video www.ign.com/videos/2013/07/03/the-bureau-xcom-declassified-dev-commentary). The thing I found interesting and truly love is that your fellow field agents will experience perma-death. Perma-death for your field agents means bringing on a rookie that is requires fresh leveling. This design choice really helps emphasize the focus on tactical gameplay. The sleepwalker virus is also a new addition to the franchise. This alien ailment puts civilians in a mindless state that will allow for them to be controlled. Apparently as the game progresses these sleepwalkers will start attacking the XCOM agents in order to protect their alien masters. Just like your agents, enemies have different classes and weaknesses. Most alien ground units will resemble your team in the sense that will have a leader calling the shots and then the back up. Other alien classes are mechs, healers, brutes, and their crafts. Agent Carter and his team may seem underpowered for this overwhelming task at first, but they will have powers available to them to set the stage for some interesting chess. All of the powers will have a cool down to yet again emphasize on tactical gameplay, but depending on their usefulness each will vary to create balance. So far I know of two of the three power categories, which are distraction, and direct damage. If I may speculate I’m quite sure the last category with either handle stealth, or weapons boosting. 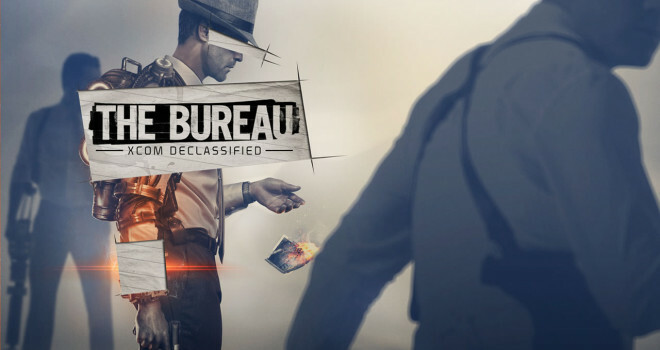 The Bureau promises to include hours of gameplay that is separate from the narrative. Creative director Morgan Gray actually encourages players to explore as much as possible in order to find items and gain XP that will be useful as you progress. In both videos I saw gameplay of side objectives were the main goal is to shut down alien facilities. I’m not sure what else they have in store for players in this department, but I’m positive it’s something to be excited about. How do you guys feel about this installment so far? Do you think it stays true to the series? Personally, it seems as if the development team was able to make a strong prequel that falls in line with what makes the series popular. The gameplay and focus on a tactical approach speaks to how this team can innovate without going as far as breaking the consistency of the story. I would be pleased to hear your thoughts, just leave them in the comments. If you like what you have read then pick up The Bureau: XCOM Declassified on or after August 20th.